To celebrate the one-year anniversary of its LTE rollout, T-Mobile has announced a major network upgrade plan that is sure to make a lot of customers a little happier. Anyone who has ever tried to use T-Mobile's network outside of densely-populated areas has undoubtedly noticed that, out in the sticks, the data speeds are almost always 2G/EDGE. Well, apparently that's all about to change. According to a new press release, it plans to upgrade its existing 2G/EDGE network to LTE and begin deploying additional LTE coverage on the 700 MHz A-Block spectrum that it's acquiring from Verizon. T-Mobile expects 50% of the work to be completed by the end of 2014 and the rest to be mostly finished by the middle of 2015. For good measure, the "Un-carrier" also took a potshot at Verizon for its television commercials which T-Mobile claims represents its network coverage as "ink blots". BELLEVUE, Wash. - March 13, 2014 - Over the past year, T-Mobile US, Inc. (NYSE: TMUS) has abolished a litany of consumer pain points through a series of revolutionary new programs and services - and Americans have responded by making T-Mobile the fastest growing wireless company in the U.S. Today, the Un-carrier announced it is continuing its relentless pace of industry innovation by launching a major new program to expand what has already become the fastest LTE deployment the U.S. has ever seen. Less than one year since launch, T-Mobile's 4G LTE network already reaches 210 million people in 273 metro areas nationwide. Building on the unprecedented pace of its LTE rollout, T-Mobile is now kicking off a major new program to upgrade its 2G/EDGE network with 4G LTE. The company plans to complete 50 percent of the work this year alone, and expects the program to be substantially complete by the middle of next year. The upgrade will provide customers who currently experience 2G/EDGE coverage new access to 4G LTE, and many already covered by 4G LTE will enjoy access to 4G LTE in even more places. In addition, T-Mobile plans to begin deploying 4G LTE this year in the new 700 MHz A-Block spectrum the company is in the process of acquiring. "Right now, T-Mobile covers 96 percent of Americans, and over the past year, we've completely shattered records with the fastest 4G LTE deployment the U.S. wireless industry has ever seen." said John Legere, president and CEO of T-Mobile. "Our competitors want you to believe our network doesn't measure up. But that just isn't true. And American consumers are going to see right through the spin and half-truths when given the facts." 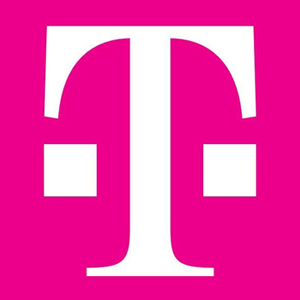 In a span of just six months, T-Mobile deployed its 4G LTE network coast to coast and at a pace unprecedented in the U.S. wireless industry - going from zero to nationwide coverage between March and September 2013. Already, T-Mobile has built America's fastest nationwide 4G LTE network - based on millions of speed tests by real customers using Ookla's Speedtest.net app on their own devices. More than 6.5 million customer tests have been conducted in 2014 alone. "Through this major new network upgrade program, and other initiatives already underway, we're driving hard toward our multi-billion dollar strategy to further improve what is already an amazing network experience for our customers," said Neville Ray, Chief Technology Officer for T-Mobile. "Our 4G LTE is going to reach 230 million people across the U.S. by mid-year. By year's end, we're going to be delivering wicked-fast 4G LTE to more than 250 million people. That's how the Un-carrier rolls out 4G LTE." In addition to these network updates, T-Mobile announced it is pushing back against misleading competitive claims through a new primetime television ad that began airing in primetime last night - and the company has demanded Verizon cease and desist with its well-known map ads. "Verizon's ink blots massively understate our coverage and don't begin to represent the actual customer experience on T-Mobile's network," said Legere. "So we're setting the record straight - both by demanding an end to the misinformation, and by going straight to the people with the truth." T-Mobile has taken legal action demanding that Verizon cease and desist the carrier's network map advertising, arguing that Verizon has cherry-picked a single network technology to depict in its ads rather than accurately reflecting the many technologies widely in use today. T-Mobile reaches over 230 million people nationwide with 4G HSPA+, which provides 4G coverage in many locations where LTE has not yet been rolled out. This is in addition to T-Mobile's nationwide 4G LTE coverage.